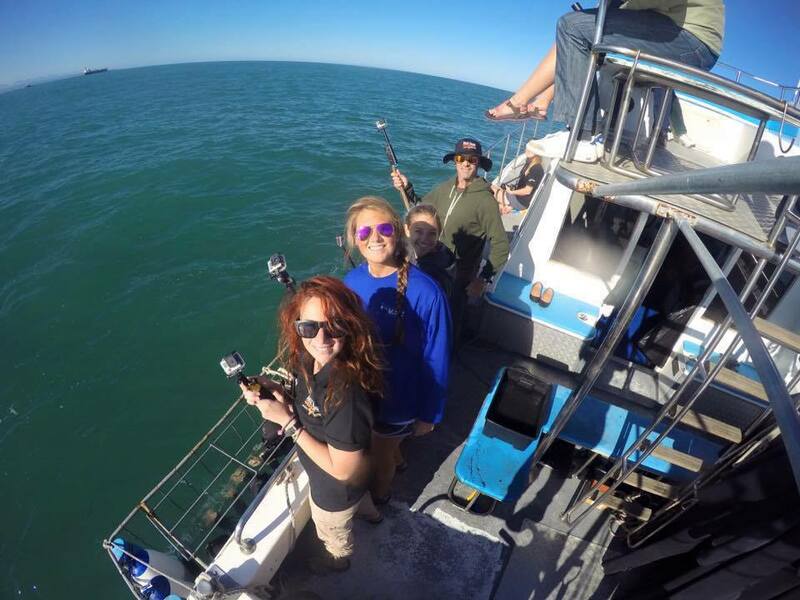 Interns looking happy after seeing a white shark for the first time! As of five days ago I had yet to see a great white shark in person. Little did I know that seeing one could increase my love for these highly threatened animals. As I researched the WSA Eco Program, it became clearer to me that seeing Great Whites in their natural environment would involve me making a 1,0000 mile trip away from my landlocked home. 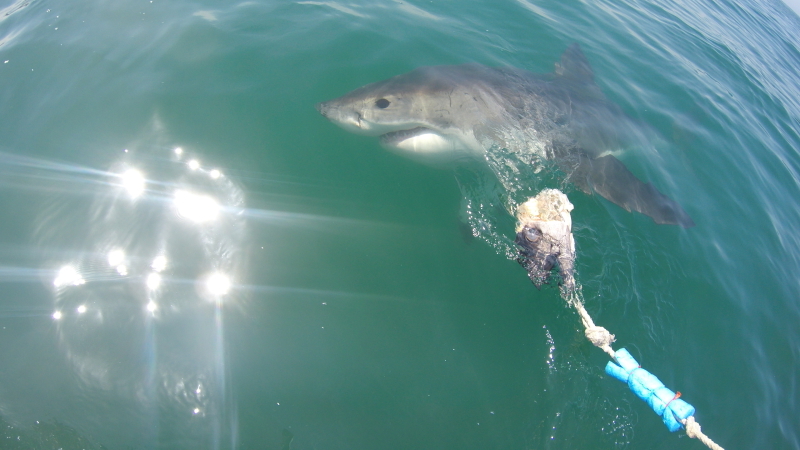 Not only would White Shark Africa allow me the opportunity to see them but also provide an underwater view. I can tell you I have never been more excited for something. 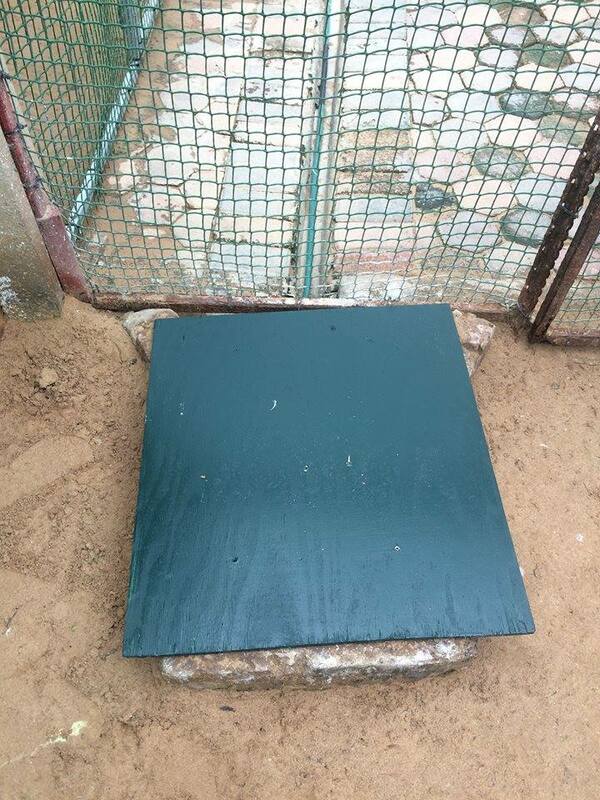 That Wednesday morning we were pepped to have our first cage experience. As we headed out of the shop, I couldn’t even contain the amount of enthusiasm built inside my shark loving body. I felt as if I practically ran to the dock. As we rode out to Seal Island, I could feel the change was coming. I knew that this change would be absolutely pertinent in my development as an active conservationist. That 8 minute boat trip felt like it took a lifetime. I was filming the journey and noticed a few sea birds following very closely to the boat. A few of the interns had began eating some chips in which the little beggars were highly interested. As they swooped and got closer I let out a squeal and covered my head in fear of being pecked by their nosy beaks. After they sauntered onto their business it occurred to me that these birds I was afraid of, yet I was less than an hour away from getting into the ocean (encased in steel bars of course) with the largest predatory sharks alive, the kings and queens of the underwater jungle. We dropped anchor and the moments felt as if they were taking an eternity to transpire. After yet another cage and safety brief, given by the very informative Dan Abbott, I realized this moment was getting closer, and closer. Finally it was time to suit up. The time had arrived and I couldn’t be more ready. As we stood in the boat above the cage the crew members, Seth and Merv, were hastily working to attract the sharks with chum and the tuna head. And then here it came, so quick and graceful was the awe inspiring juvenile great white shark. Yes, I said juvenile, and even at her young age her presence was immediately recognized. Although still a young shark the vastness of her power and gracefulness was just that. I felt a surge of genuine, pure joy. I couldn’t believe that right in front of me was this highly feared and misunderstood animal. I couldn’t understand why anyone would want to hunt her mercilessly. My joy mixed with utter confusion. Now I had finally seen with my own eyes the animal I desperately want to protect. I watched her stalk the bait; glide and flow effortlessly and she was perfect. She skimmed the water and I could not imagine her as a mindless killing machine. Every movement was so graceful, so tacitly and strategically made that she could not be mindless. As I watched her continue to amaze me I was told it was my turn to get inside that cage, and without an ounce of fear in my heart I jumped in, knowing that the ocean was all hers, and we as humans had absolutely no right to change that. All we can do is learn from their perfectly evolved behavior. Since that day I have been solidified in my accurate perception, their existence is deserving just as any other creature on this planet, and I will never, ever give up on educating others and aiding in protecting her existence. Would You Get In The Water With A 3.8 m White? Previous post How Many Interns Does It Take To Build A Drain Cover?